The Apostle Paul suffered rejection, beatings, imprisonment, and ultimately death as he fulfilled his ministry. Yet he did not become discouraged. Confident in the sufficiency of Christ, Paul found joy even in his trials. Writing from prison, he exhorted the Christians in Philippi to rejoice in Christ and to press on. 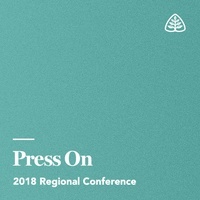 On November 9–10, 2018, Ligonier Ministries hosted a regional conference in Lancaster, Pa. Drs. W. Robert Godfrey, Steven Lawson, Albert Mohler, and Stephen Nichols explored key lessons from Paul’s letter to the Philippians.